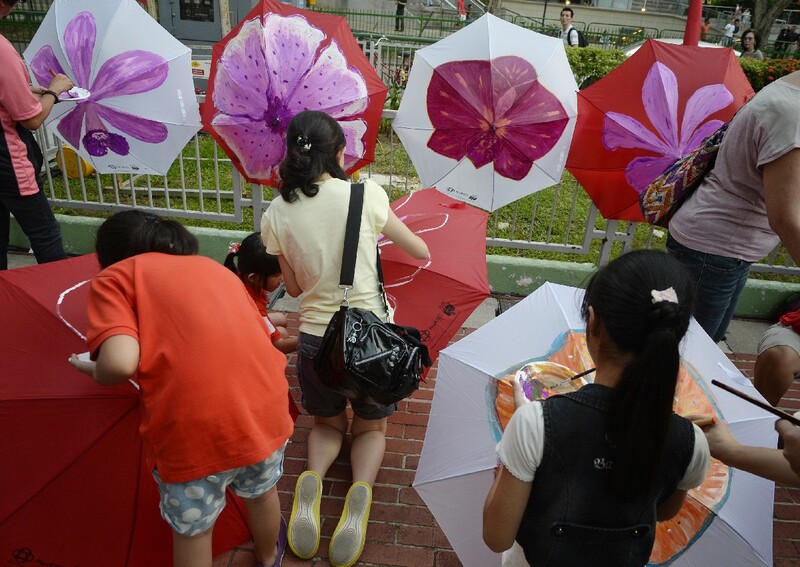 Marine Parade residents painting on umbrellas at the PAssionArts Festival held at Marine Parade Promenade yesterday. 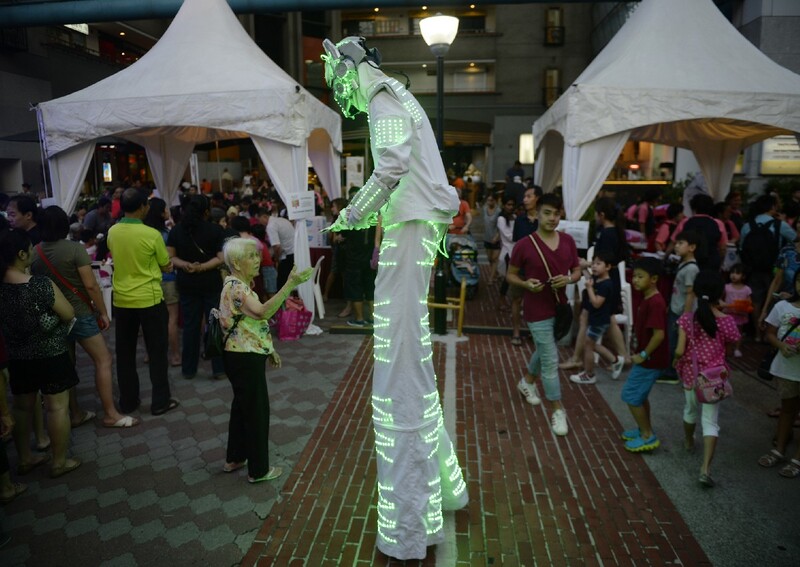 The PAssionArts Village @ Arts D'Marquee celebrated the heritage of the nearby Joo Chiat and Katong areas and welcomed crowds of about 2,000. An open space in Marine Parade was converted into an arts hub yesterday, complete with dance performances, activity booths and a photo display. 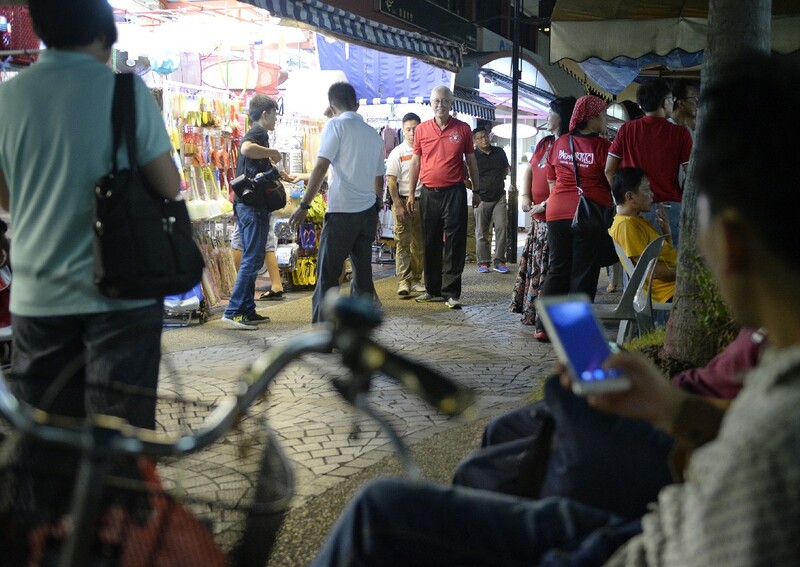 Called PAssionArts Village @ Arts D'Marquee, the one-day event celebrated the heritage of the nearby Joo Chiat and Katong areas and welcomed crowds of about 2,000. The fair, which was held opposite the Parkway Parade shopping centre, featured a wall of photographs of the Katong and Joo Chiat areas. The images were from a photo competition that aimed to get residents to appreciate the areas' history. Held by the Marine Parade, Kembangan-Chai Chee and Mountbatten Citizens Consultative Committees and Community, Arts and Culture Clubs (CACCs), the festival is part of the larger PAssionArts Festival 2015. Now in its fourth edition, the festival is organised by the People's Association. It started on July 12, with 63 festival villages over eight weekends until the end of this month. 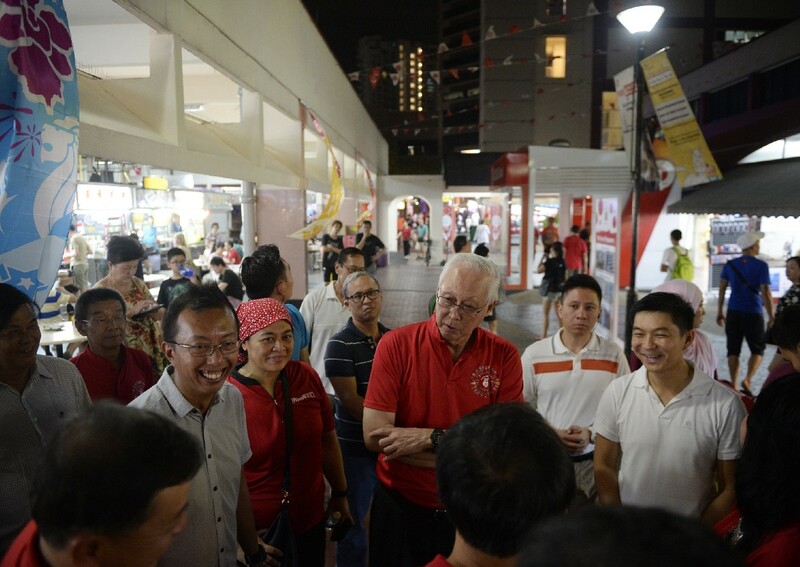 The next festival village will be held on Saturday in Bishan-Toa Payoh GRC. An open space in Marine Parade was converted into an arts hub on Sunday, complete with dance performances, activity booths and a photo display. The fair, which was held opposite the Parkway Parade shopping centre, featured a wall of photographs of the Katong and Joo Chiat areas. The images were from a photo competition that aimed to get residents to appreciate the areas' history. Held by the Marine Parade, Kembangan-Chai Chee and Mountbatten Citizens Consultative Committees and Community, Arts and Culture Clubs, the festival is part of the larger PAssionArts Festival 2015. Now in its fourth edition, the festival is organised by the People's Association. It started on July 12, with 63 festival villages over eight weekends until the end of this month. 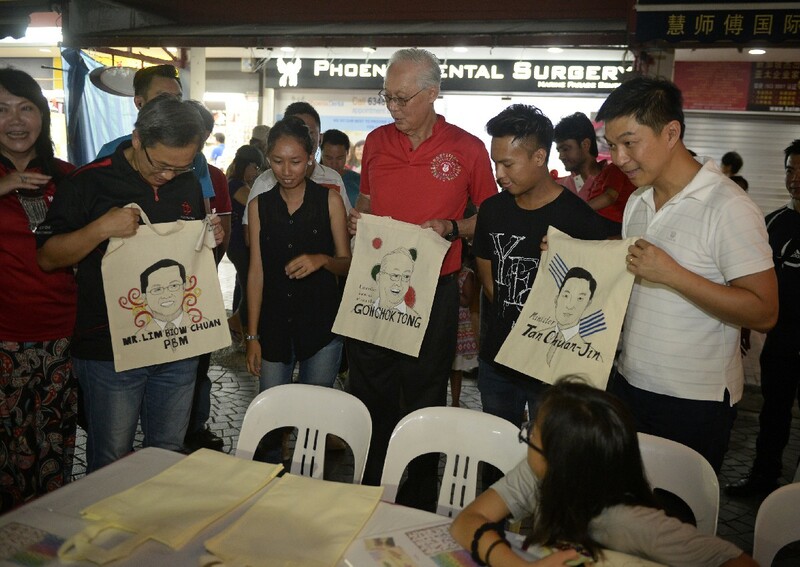 "We hope this event has helped to foster the spirit of good neighbourliness and connected you with residents living in Marine Parade GRC through these fun and entertaining arts booths," said Madam Elizabeth Ng, chairman of the Marine Parade CACC, at yesterday's event. 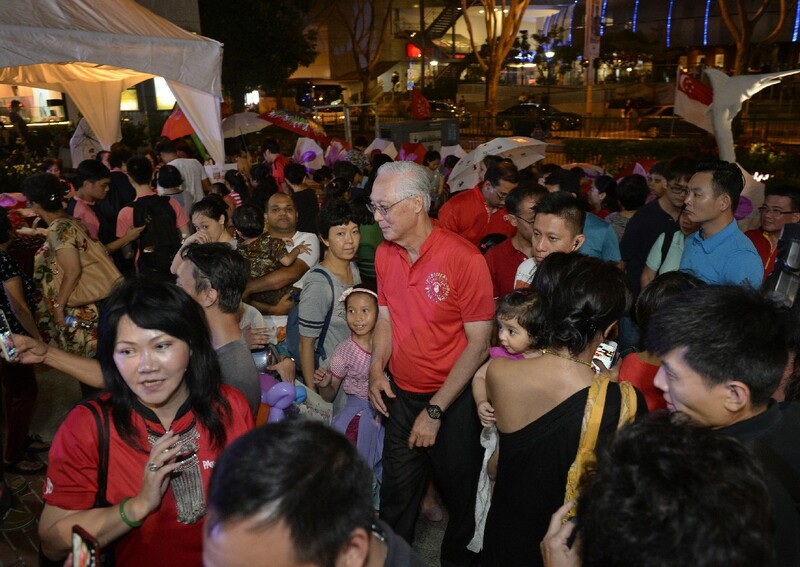 Also at the event were Emeritus Senior Minister Goh Chok Tong, MP for Marine Parade GRC; Mr Tan Chuan-Jin, Social and Family Development Minister and anchor minister of the GRC; and Mr Lim Biow Chuan, MP for Mountbatten. 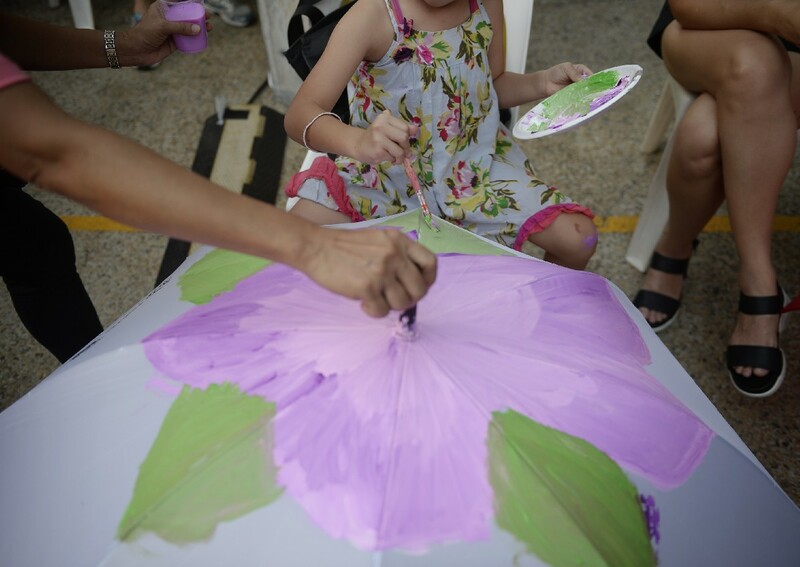 Church volunteer Jeanette Lim, 62, took part in umbrella painting at yesterday's event and painted a flower on a white umbrella. "It's very fun, there are many activities to do here," she said.